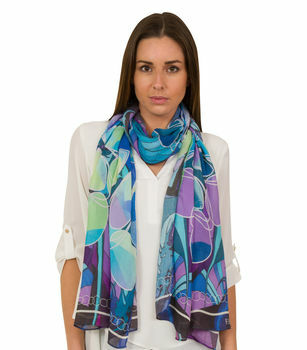 Super soft luxurious scarf made with cashmere and silk blend. This scarf is lightweight and beautiful. 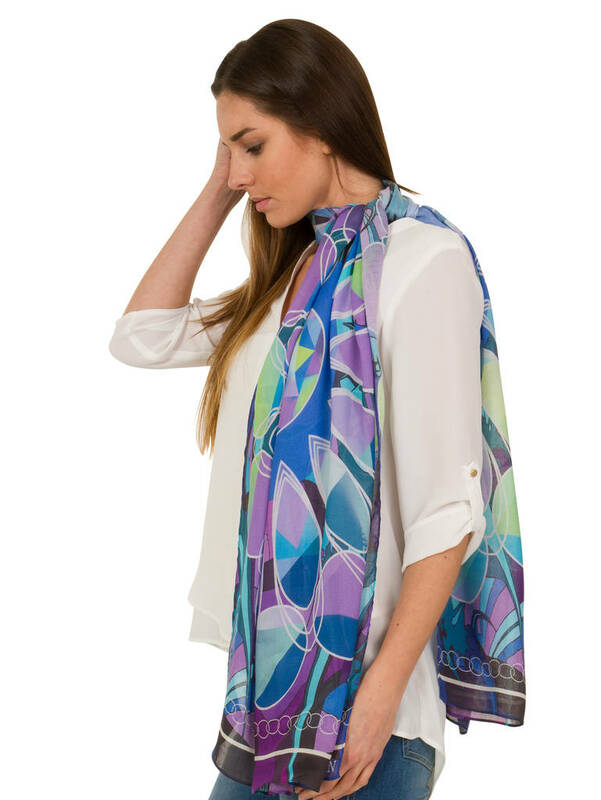 Beautiful purple print scarf ideal for autumn or winter seasons to keep you warm whilst looking stylish.